Don’t want Netflix rearranging your queue—er, Your List—of movies and TV shows? I don’t blame you. Luckily, there’s a setting that’ll help you get control of your Netflix account back. You can also dial up—or down—how much bandwidth you use when you stream Netflix over your phone’s cellular connection, change the font and color of subtitles, and even get creative with your searches. Remember the old Netflix Queue? It’s still around, although you may have to dig around for you queue—or rather, “Your List,” as it’s now called—on your Netflix home screen depending on how often you use it. Once you find your list in your Netflix account, you may notice that it’s not quite in the state you left it—that is, Netflix may have shuffled the titles on your list according to its secret recommendation sauce. From your desktop browser, hover your mouse over your username in the top-right corner of the screen, click Your Account, then click Order in My List (in the My Profile section). Click the Manual Ordering option, then click the blue Save button. To reorder your list, you’ll have to visit Netflix in a desktop browser. Once you do, click the My List heading, then drag and drop videos to reorder them. 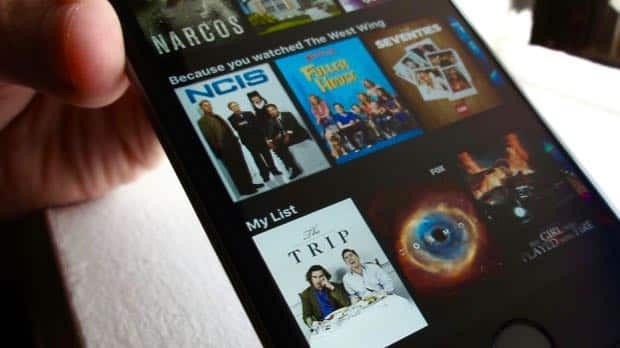 It’s pretty amazing that you can watch HD Netflix videos over your Android or iOS device—and it’s also incredibly easy to blow through your monthly cellular data allowance in the process. You can change Netflix’s cellular bandwidth setting directly from your iOS or Android device. That’s why on-the-go Netflix watchers would be well advised to adjust a setting that’ll let you limit how much cellular bandwidth you use while streaming videos. First, open the Netflix app on your iOS or Android handset, tap the three-line “hamburger” button in the top corner of the screen, then tap App Settings. On Android devices, tap Cellular Data Usage; for iOS devices, the Cellular Data Usage setting is the one and only options. The default setting for Cellular Data Usage is Automatic, which means Netflix will determine the right amount of cellular data based on the quality of your cellular signal, the location of your device, and various other arcane factors. To take control yourself, uncheck the Automatic setting and pick an option. If you don’t mind a picture that’s a little softer than DVD quality, go ahead and pick the Low setting, which will consume about 1GB of data every four hours—relatively conservative as far as video streaming goes. 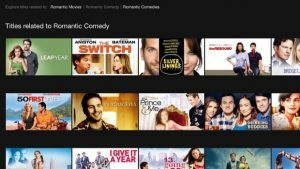 If you simply must have a razor-sharp image for your Netflix account, you can merge into the fast lane with the High setting, which burns through a gig of data every hour. And if you’re one of those lucky souls who still has an unlimited data plan, you can go full throttle with the aptly named Unlimited setting. Having a hard time reading the default yellow subtitles on certain Netflix videos, or just want to jazz up the way subtitles look? There’s a Netflix setting that’ll let you change the color, font, size, and even styling of subtitles. 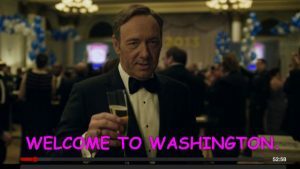 Want the subtitles in your Netflix videos to be purple? No problem. Now, go ahead and tweak. There are seven fonts and eight colors to choose from, and you can also boost or shrink the font size as well as pick a “shadow” setting for the subtitles. When you’re done, click the blue Save button. A couple of caveats about the Subtitle Appearance setting: in my most recent tests, custom subtitle settings only seemed to work in desktop browsers and on the Android version of the Netflix app. Also, some Netflix videos have “burned in” subtitles that can’t be changed. You can now search Netflix for actor names and even genres. Keep in mind, though, that the Netflix search engine still isn’t Google-smart. If you type in “Clint Eatwood” instead of “Clint Eastwood,” you’ll get a “Your search did not have any matches” error. How Do I Keep Netflix From Chewing Through My Monthly Data Limit?